Highly accurate SMT Screen printer capable of printing 01005 components with consistent repeatable accuracy. 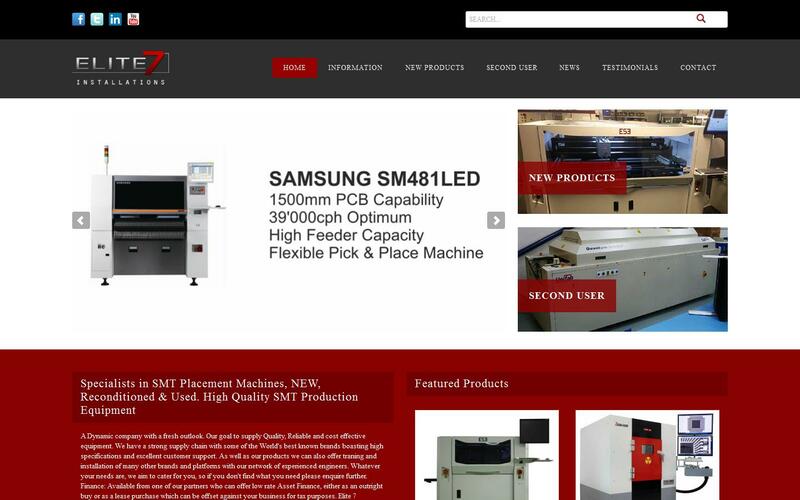 Elite 7 Installations Ltd is a UK leading manufacturer & supplier of new and reconditioned electronics manufacturing production machinery. We are a dynamic company with a fresh outlook. Elite 7 Installations work closely with some of the world’s best known brands for high quality, reliable and cost effective equipment. In addition to our products, we are also able to offer training and installation for many other brands and platforms by our team of experienced engineers. Elite 7 Installations have over 40 years’ of knowledge in the industry and are constantly looking at ways to improve and grow our fantastic range of products and services. Finance help is available through one of our partners who can offer low rate asset finance on either a buy or lease purchase. A rental scheme can be put together by ourselves for short term machine rentals. If you are unable to find what you’re looking for please enquire further.